All EMERALD POINTE homes currently listed for sale in Delray Beach as of 04/21/2019 are shown below. You can change the search criteria at any time by pressing the 'Change Search' button below. 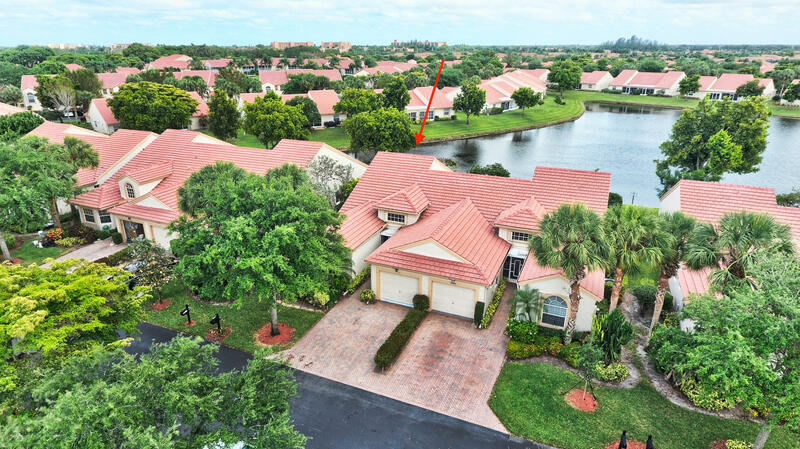 "Lakeside villa with garage located in gated community of Emerald Pointe in central Delray Beach. 2 beds PLUS HUGE DEN, with vaulted ceilings thru-out the unit, lots of natural light. ACCORDIONs! Glass enclosed Florida room overlooking the lake, tiled floors in living areas, wood floors in both bedrooms. Both baths updated. Master suite has dual sinks, soaking tub, very updated shower, two closets. New vanities, lights,hardware,fixtures. Split bedroom plan for ultimate privacy. Kitchen is completely updated with SS Kenmore elite appliances, mosaic glass backsplash, wood and glass cabinetry, peek thru to living room. Separate room with window and door for inside laundry w front load washer/dryer. 2014 renovated clubhouse, with pool, tennis and full-time social director. 1 pet ok, 15 lbs"